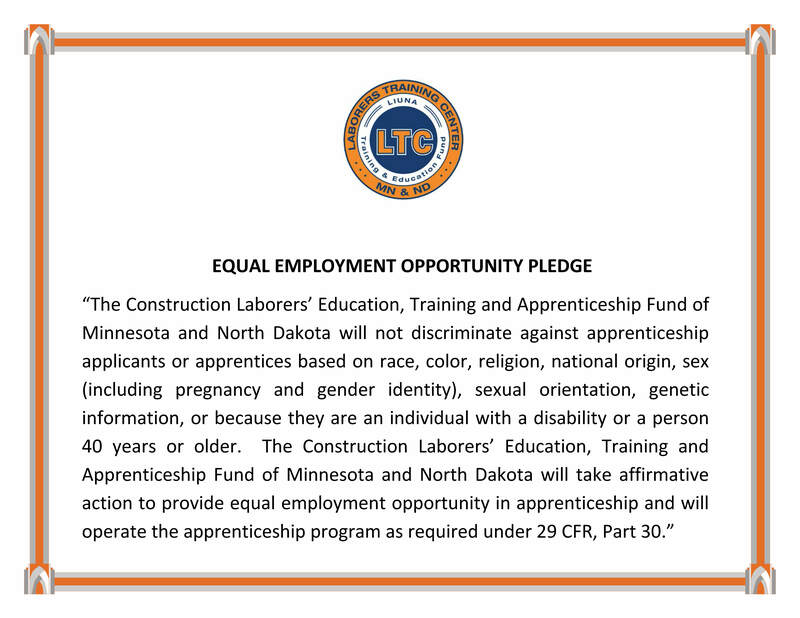 We take great pride in the Construction Craft Laborers’ Apprenticeship Program. The Apprentice Program is a mandatory, state-regulated program that has been designed for the benefit of both employees and employers. The courses are designed to make Laborers safer, more productive and give Laborers an opportunity to grow in knowledge and skill level through classroom and on-the-job training. The knowledge and skills of our certified instructors, obtained through continuing education, are passed on to the apprentices. These skills can then be taken on the job-sites and used to make safer, more productive and valuable employees. Each apprentice must complete 288 hours of training and 4000 work hours over a three-year period. Apprentices must complete at least 100 hours of training per year. (Fringe benefits for V/WD, H & W, Pension, and LECET are the same as Journey Worker). The LTC offers laborers the option of completing the Apprenticeship Program with a specialization in Environmental Remediation. Third Thursday of Every Month @ 6 p.m.
Apprenticeship Program, fringe benefits, and the Union.